Zakaria says granting autonomy to groups generally produces peace and stability. (CNN) -- The Dalai Lama says the key to stopping violence around the world is to stop "destructive emotion." In an interview to air Sunday on CNN's "GPS," he tells Fareed Zakaria that he doesn't think even Osama bin Laden wished for violence when he was a child but that it grew of out hatred and frustration. The Dalai Lama also addressed relations between Tibet and China in the interview, which Zakaria discussed with CNN. CNN: Why is Tibet such a hot-button issue for China? Fareed Zakaria: China sees the issue as a separatist movement, as President Lincoln did when the South wanted to secede from the Union. They feel their territorial integrity is being threatened. And Tibetans see their culture, language and religion as being slowly but surely extinguished by the Chinese. Fareed sits down with the Dalai Lama this week on "GPS." Zakaria: Well, that depends on who you ask. You need to look at the history to get a complete picture. It all goes back to Genghis Khan, who captured Tibet in 1207. He united Tibet » with China under the Mongol empire. The Chinese have claimed an unbroken line of sovereignty over Tibet ever since. The Tibetans, however, reject that claim, saying they have been an independent kingdom for many periods during that time, some centuries long. That was the situation until 1912, when Tibet declared itself an independent republic. China never recognized it, nor did the U.N. or any major Western power. CNN: Well, that seems to indicate that China has a point. Does it? Zakaria: It's not so simple, because although China never recognized an independent Tibet, neither did it exercise any control of Tibet. That is, until 1950, when Chairman Mao sent the Red Army in to liberate -- as the Chinese saw it -- the Tibetan people from the feudal serfdom they were living under. However, the Tibetans saw the act as an invasion, and in 1959, the political and spiritual leader of the Tibetan people, the Dalai Lama, fled to India, where he set up a government in exile. CNN: So we've been with the current situation since 1959. Why hasn't there been any resolution? Zakaria: Well, the Chinese are hoping to wait it out. By letting the issue drag on, they are hoping more and more ethnic Han Chinese move into the region and slowly let the Tibetan freedom movement die out. Zakaria:That could happen -- and has worked with other regions. But, it could also work the other way. The Chinese sometimes use force, as they did last year against the Tibetan monks, which causes a huge backlash in Tibet and outside. This has resulted in some Tibetans becoming more strident in their calls for independence and aggressive in their demands. However, the Dalai Lama has repeatedly said that he does not seek independence, only cultural autonomy, and urged his followers to engage in no violent protests whatsoever. If there were ever a leader of a separatist group whom one could negotiate with, he's it. And once the 72-year-old Dalai Lama passes from the scene, Beijing might have to deal with a far more unpredictable and radical Tibetan movement. CNN: Do you think granting what the Dalai Lama is asking for makes sense? 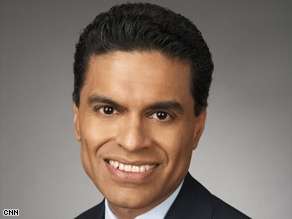 Zakaria: If you look at other cases, such as in Turkey and India, granting autonomy to groups that press for it has in the end produced a more stable and peaceful national climate. But that is a lesson the Chinese government will have to learn for itself; it is unlikely to take instruction from outsiders. CNN: What ultimately causes this age-old mistrust between the Chinese and the Dalai Lama? What's the stumbling block that keeps them from finding resolution? Zakaria: The Chinese government has always believed that when the Dalai Lama speaks of "autonomy," what he really means is independence, a sovereign nation for Tibet. I asked the Dalai Lama about this, and he denied it vehemently. He insists that Tibetans would truly be content to live within the Chinese system, as citizens of its government, as long as they are allowed to preserve their culture and practice their religion. It is difficult to see how this gap -- the difference in perception between the two sides -- can be bridged. E-mail me gps@cnn.com to let me know your thoughts.